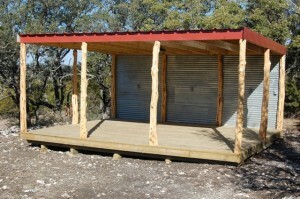 T4C can build the perfect gazebo to compliment your garden or ranch. We offer quality-built gazebos in a variety of styles and sizes. Our Custom Greenhouses come in clear or green fiber glass and can be designed to fit your needs. We can add electricity, plumbing, shelves, and more. Grow and maintain plants during winter and summer in a controlled environment. Enjoy pesticide-free vegetables you grow yourself year-round. Keep flowers and plants inside in winter where they grow and get healthy from the sun’s heat and light. 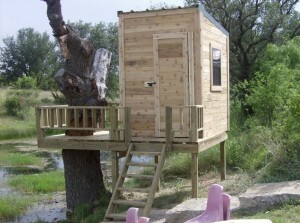 At T4C Cross Texas we offer high quality, durable wooden playhouses in a variety of styles. Let us help create the perfect backyard experience for your children. 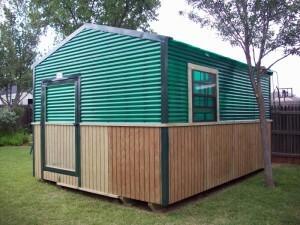 Our playhouses are built with the same construction standards we use on the rest of our buildings. No corners are cut. So, “Create Your Own Dream”, and let us build your custom designed playhouse! Ask our team how together we can put the “creation” in recreation.